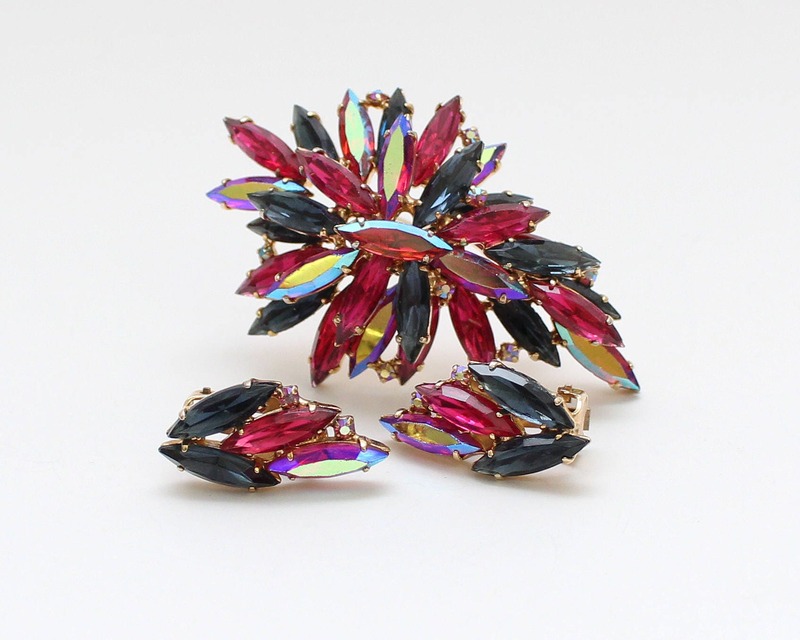 A beautiful glitzy brooch and earrings set. 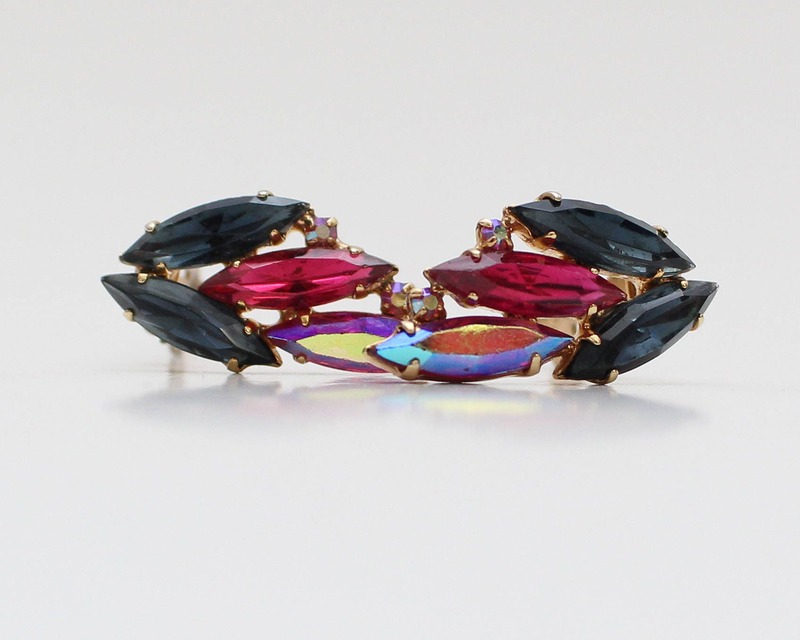 Navette rhinestones in pink and blue, some with an aurora borealis finish, are prong set in gold tone metal. 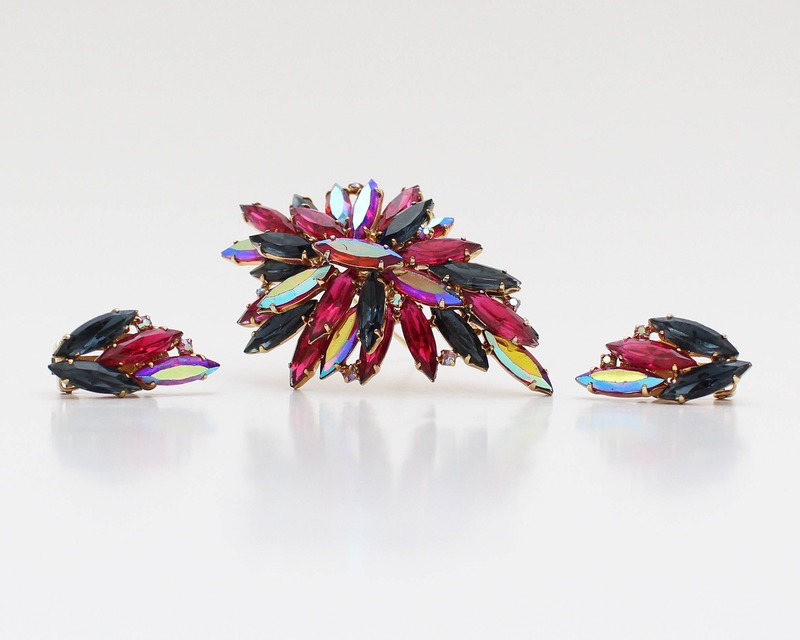 Earrings are clips. 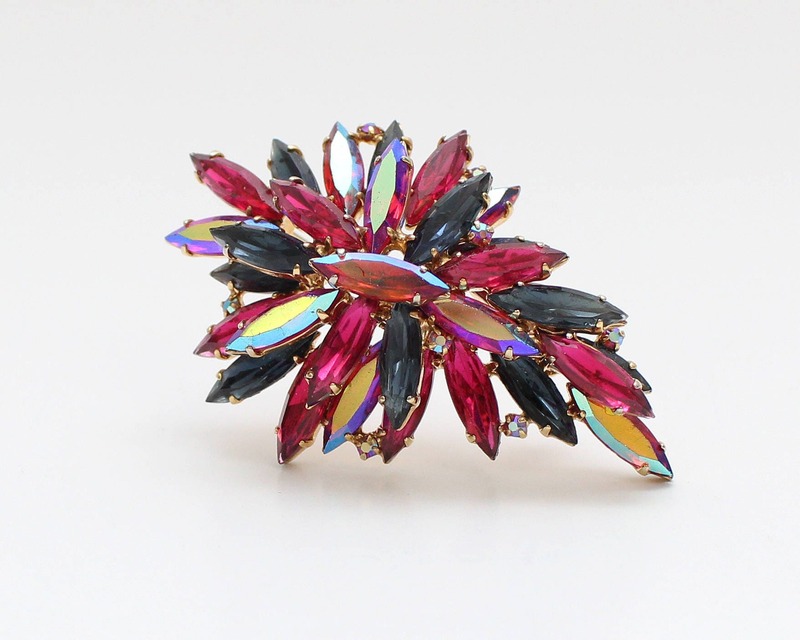 Rhinestones appear to be glass. Some very minor wear evident on the rhinestones, particularly the AB coated ones. 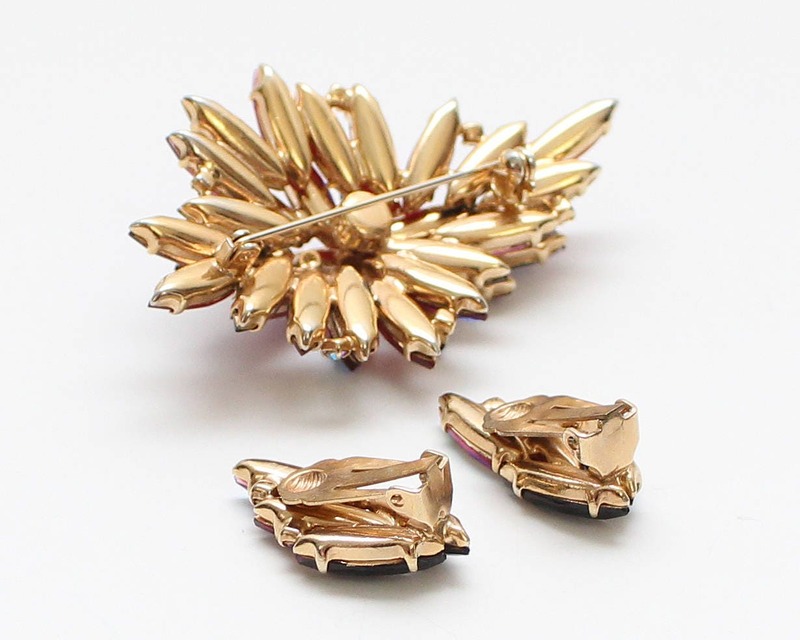 There is also a chip in the gold finish on the back of the brooch, revealing the underlying base metal.